We like to be the first to tell you about new and notable happenings downtown, and the official opening of the Auteur sales center certainly is one to pay attention to! 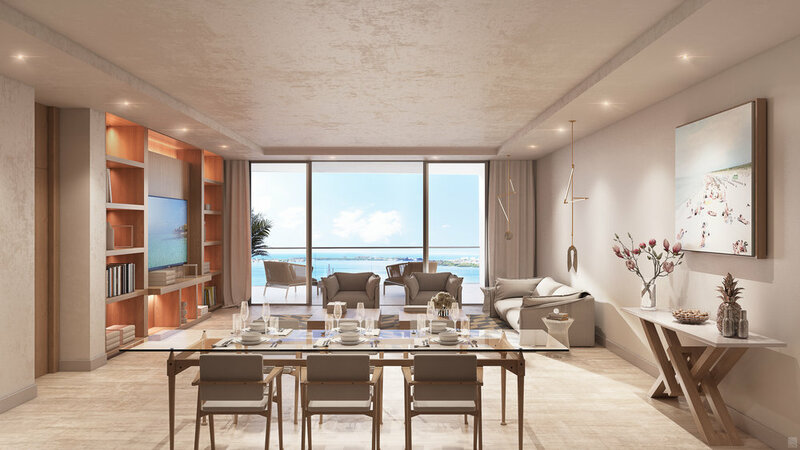 The ultra-luxury building, which is being developed by the same team that brought us Beau Ciel downtown and Orchid Beach Club, Aria, and En Provence on the barrier islands of Lido and Longboat, is truly not to be missed. We LOVE the chic and glam sales center itself, for starters, and the floor plans are unlike anything we have downtown now. Allison at The View From The Top has just had the pleasure of working with one of the very first buyers of Auteur to make a reservation. Right now the building is available for reservations ($50k down for all but the highest floors, which command a deposit of $100k) and it is expected that these will be converted to contracts in mid-to-late summer. Auteur is expected to be delivered in 2022 but, for those who are planning ahead for their next move, now is the time to get in! Auteur will be a 216’ tower with a projected 56 units priced from just under $2,000,000 to more than $3,500,000. 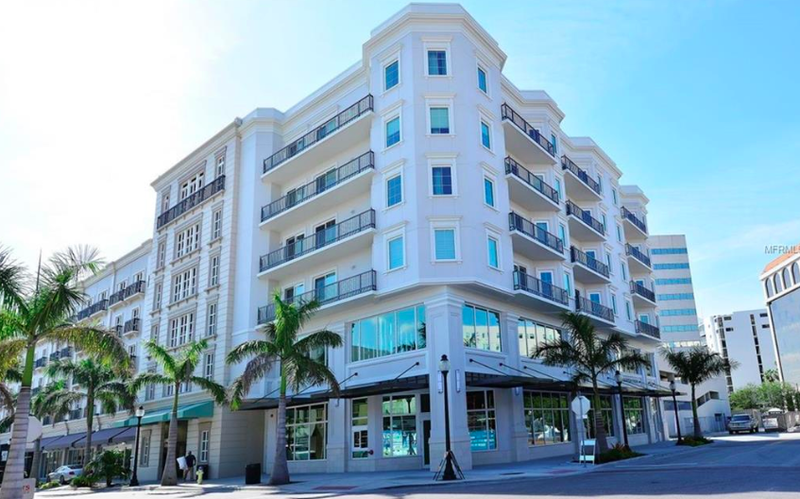 Residents of Auteur and residents of downtown Sarasota alike will benefit from the developer’s involvement in the community: when originally proposed to have over 85 units, the community of Sarasota voiced concerns. The developers listened and reduced the number to 56, and by reducing the number of units, the builders were able to both set the structure back further from the street – adding aesthetic value - and increase the size of each home to an average width of 75 feet, something not commonly found in condominiums at any price point (even many single-family homes are on lots of a smaller width than this!). 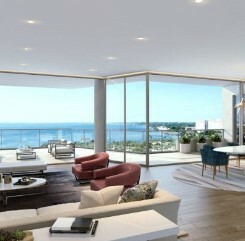 Each residence will have a spacious, open floor plan and panoramic views of Sarasota Bay. The features and benefits at Auteur are extensive and just exude the modern style of luxuriousness that discerning buyers today are seeking. 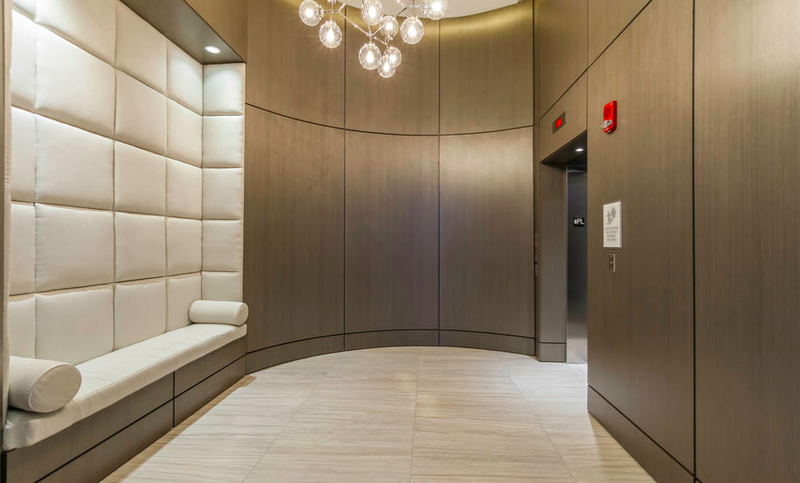 Coded access elevators will deliver owners to private foyers and interiors created by world-renowned designers. Walls of glass span multiple rooms to create sunlit spaces where high ceilings and HUGE terraces add to the overall elegance of each home. Kitchens come equipped with Sub-Zero® and Wolf® appliances.. and of course, each residence will be pre-wired with the latest smart home technology. Two sides of the Auteur building are expected to feature a vast assortment of fitness, social and general recreational opportunities. This is an addition to downtown that we at The View From The Top are seriously excited about and we think you will be too! For all of your downtown real estate needs - in both the to-be-built and classic buildings - we have you covered! Please call us anytime for guidance on the right spot for you in fabulous Sarasota. NEW SAGE IS ALL THE RAGE! Ever since Ceviché departed in 2013, Sarasotans have wondered what is going to happen to the fabulous space located at 1216 1st Street, in the cool historic Sarasota Times Newspaper building. Finally, a new restaurant has opened its door here, still featuring 4 stories of dining space and the famous rooftop bar. Welcome to the scene, Sage! 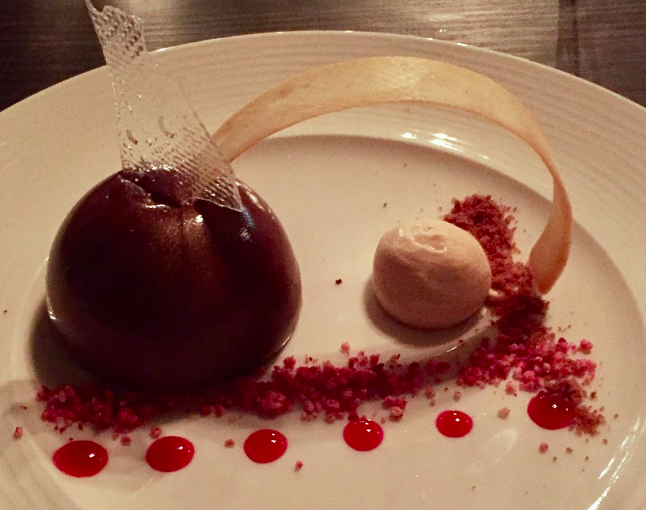 I had the opportunity to check out this swanky new world-cuisine restaurant recently and highly recommend you check it out. The seasonal menu changes so often, it’s not even posted on their website. Their mission is to use fresh ingredients, unique flavors, and cooking styles from around the world to give their patrons the best dining experience. Bonus: They happily accommodate any dietary restrictions and many of their dishes are already gluten- and dairy-free. In addition to the exquisite flavors, their food presentation is some kind of work of art! When I visited, I went straight to the fabulous rooftop bar - one of my favorites hang-outs from years past when Ceviche was there! - and I was certainly not disappointed! The vibe was sophisticated but not fussy and it was pleasantly busy but not so packed that I wanted to leave. The cocktail I had was delicious and my friends and I loved the various types of seating on the roof - bar, high-tops, and lounge areas and, of course, THAT VIEW is a major draw! As I said above, the building itself is a Sarasota historic landmark, formerly housing the Sarasota Times Newspaper. The 1st Street location is on the western edge of downtown, so it is easily walkable from the Bayfront condominiums, offering an alternative to Jack Dusty for dinner and a nightcap, as well as the Palm Avenue area of downtown. Also nearby: the Sarasota Opera and FST — which makes this a perfect pre-show dinner location! The historic downtown building used to house The Sarasota Times. Prime location right across from the bayfront in downtown. The view from the rooftop bar overlooks the bright buildings of downtown. And you can even wave at the rooftop bar-goers on top of the Art Ovation Hotel right across the way! There is more than one way to enjoy downtown Sarasota…You can visit it for a few months each winter, you can live in the heart of it every day, or you can simply enjoy all the amenities by living very near it! If single-family home living is more your style but you desire easy access to everything downtown has to offer, then we may have just the perfect option for you! Located 8 minutes from downtown, in South Gate. Large, brand-new deck sitting right on a pretty offshoot of Phillippi Creek! 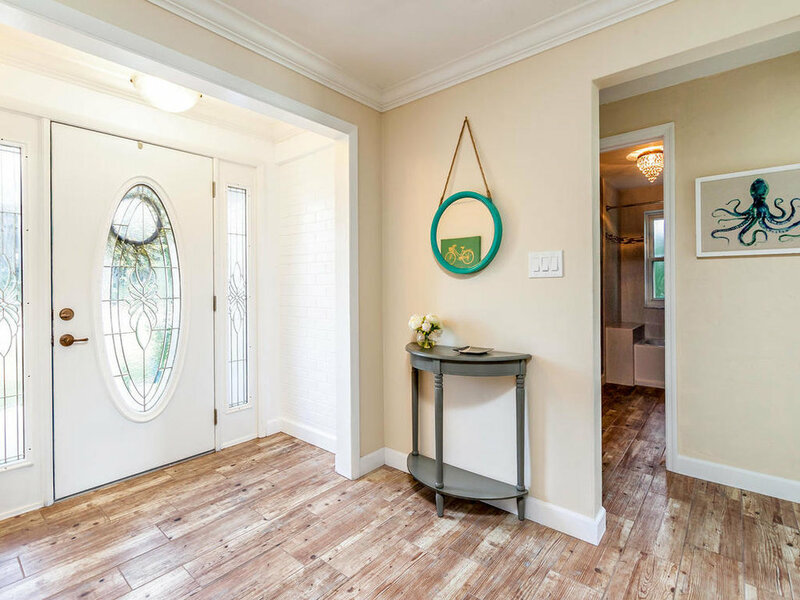 Walk right in to this open & bright creekside cottage and enjoy a full-scale renovation, which makes the adorable mid-century home feel like a new chic downtown condo! 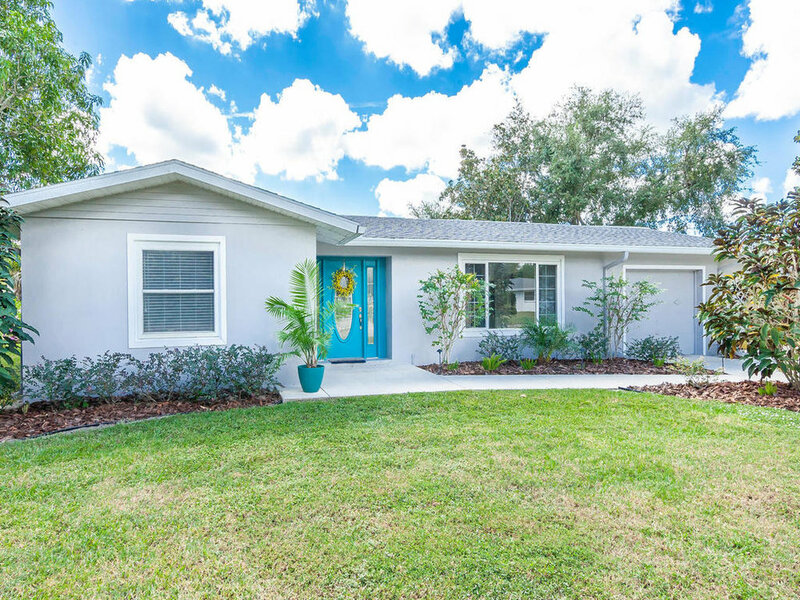 Fresh paint inside & out, new lighting & electrical, modern wood-look tile in all living areas, and contemporary-style updated kitchen and baths. You will be WOWed! 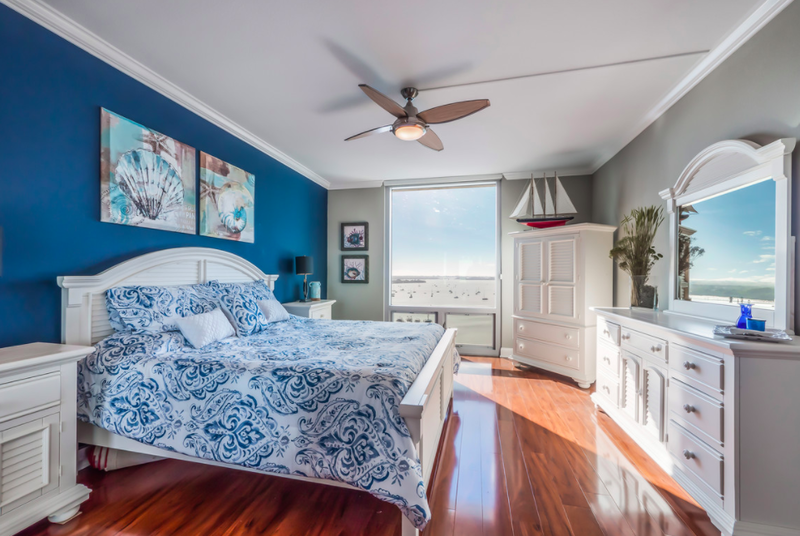 Wide windows let the light into the main living space, which is open-concept, and sliders to the back deck provide beautiful views of Phillippi Creek, where you can watch the birds and turtles frolic! You will love to cook and entertain in the modern kitchen, finished perfectly with sparkling new granite, a marble backsplash, and all new stainless appliances. The island has convenient space for eating, so pour your coffee and enjoy the quiet tranquility of a waterside home. Shaker-style quiet-close cabinetry, sleek knobs, and new fixtures & lighting will please every home cook. Features you have come to enjoy in your downtown condo, such as sliders from the master bedroom right to outdoor space and interesting finishing touches like the barn door to the master bath are both available here. Your single-family condo-alternative is awaiting you! The master bath feels utterly luxurious with the oversized walk-in shower and clean, modern gray tones. Your guests can still come for a visit and enjoy the spacious second bedroom and nearby bath. The bedroom features new carpet and fan and two large windows, and the bath right around the corner is completely remodeled and updated with accent tile, new wood cabinetry, and granite counters. And why would someone want to move away from the liveliness of downtown Sarasota? Here’s one reason… unless you are in one of the few waterfront condos, you simply cannot walk out your door and hop on your paddleboard and be out in the sunshine within minutes. You can do that here. The large yard is complete with a wide deck with plenty of room for entertaining, plus there is a poured slab on the side of the home for storing your boat and/or other outdoor playthings like kayaks or canoes. It is close enough to enjoy everything about downtown but far enough away to have the peace and quiet of living in a neighborhood! Be at the Opera in 10 minutes or Selby Gardens in 5 (or jog there, if you’re ambitious, Allison does!). South Gate has easy access to the north bridge to Siesta Key, so everything you enjoyed about being minutes away from Lido Beach downtown is right here too - only to one of the best beaches in the country! If you have been wondering how you can keep a downtown lifestyle and the low-maintenance you’ve come to appreciate, look no further than this home that needs absolutely nothing else to update it — inside OR out, viewable or not. Everything from the guts to the finishing touches is brand new. So relax & enjoy the post-downtown life! In a time when information is at the tip of our fingers, when crossing the country takes but a few hours, and when indulgence is not a rare treat but an opportunity offered to many, we are deciding where we visit and where we live based on simple luxuries like high-scale food scenes, nightlife, and access. Sarasota itself is a budding food city, with many fabulous award-winning restaurants as well as local favorites that are worthy of your tastebuds! Here are a few places to go, if you want to do Sarasota like a foodie. This Sarasota staple fine dining establishment boasts the most national awards in our area. It is Sarasota’s only AAA 4-diamond award restaurant, but it’s not just the awards and accolades that make Michael’s special. Its attached piano bar and wine cellar bring in guests who come just for the experience and who stay for the food, and the happy hour prices make this fine dining experience accessible for most. They give back, too! A frequent sponsor of our local non-profits, Michael’s also donates proceeds to one of them every Monday. Indigenous is located on S. Links Ave. downtown. When it opened in 2012, Indigenous came in with a bang, winning the Best New Restaurant award from Florida Trend right out the gate. 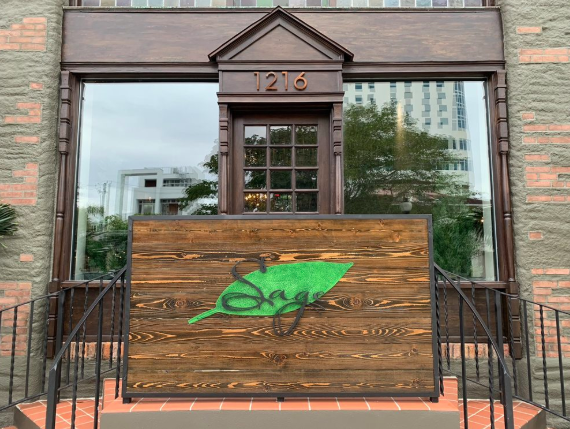 Chef Steve Phelps is a two-time semi-finalist for the James Beard Best Chef - South award, the restaurant received a place on Zagat’s Best Restaurants in America list in 2013, and has landed on more Best Eats in Sarasota lists than we can came here. The ambiance of this restaurant is casual and chic simultaneously, featuring as many local, or indigenous, vendors as possible, from the wood used in the wine rack to the locally-sourced produce. Man Vs. Food was back in 2016 with a visit to the late-night Gulf Gate staple, Munchie’s 420 Café. Featured on the episode was a challenge to eat ghost pepper poppers, one we don’t suggest! But if you are craving literally every comfort food wrapped into one, Munchie’s is your place. My indulgence there is always the fries, as I’m a vegetarian so I don’t eat their sandwiches, but my foodie, meat-eating sister swears the Fat Sandy is where it’s at when you are searching for perhaps the most delicious thing you can put in your body at midnight: cheeseburgers, mac n’ cheese, chicken fingers, and mozzerella sticks on a sub roll. You read that right. It’s the king of good eats. My Faves - It’s time you knew! I just love lunches at the Bijou, where the experience makes you feel like you rolled back a hundred years. Pour from the left, take from the right, white-glove service. The middle-of-downtown location is perfect if you work in the area. The nostalgic elegance coupled with modern European food creates a fine dining experience that you will enjoy in the middle of the workday or just before the opera on a Friday night. This new essential place to eat on St. Armands Circle features a lot of what I love all in one place: a balcony view of a beautiful place (right on St. Armands), a good rosé, and seriously the best truffle fries in the world. It is true that I make special trips to Shore for the fries. The rest of their menu is nearly flawless, with fantastic tomato bisque soups and hot-weather friendly salads, but seriously—go try those truffle fries! It’s my party and I’ll eat dessert if I want to! Euphemia Haye’s dessert room has always been one of my favorite makes-me-feel-special places. The location on Longboat Key makes this a destination for me, but the dessert room makes it worth it. The fancy atmosphere is highlighted by the dessert bar, where everything from absolutely indulgent pies, bananas foster, and homemade ice cream are featured nightly. Invite some friends on your next big occasion—you won’t regret it! Sarasota isn’t just a beach town, it’s a foodie town too. For all your Sarasota real estate and lifestyle needs, please give me a call today! On a rainy Wednesday evening, while strolling back to our cars after a Cabaret performance at Florida Studio Theatre (a summer and winter series that we love — find out more about it here), the sound of jazzy piano hit our ears as we watched a cocktail-attired couple exit the Art Ovation Hotel. Modern and angular busts greet pedestrians from the sidewalk and look like a futuristic Easter Island Head. This coupled with the Roarin’ ‘20s vibe we felt from the music meant we had to go in. Art Ovation is stark, contemporary, and clean on the inside. A formal dining room is to the right, the hotel and gorgeous rooftop bar & pool are above (the latter closed due to the inclement weather during our visit), and a bar, nestled in the midst of wide room is to the left. We made for the bar and passed a gallery of bright paintings on the way, reaffirming the hotel’s commitment to the arts. The expansive front space, ideal for cocktail parties or dances I’m sure, currently held a band, well known among Sarasota’s live music scene, Hot Club of SRQ. We pulled out our stools and took a seat, greeted immediately by a bartender clad in a crisp white oxford with an undone bowtie hanging around his neck. This uniform, worn by the rest of the wait staff too, added to the classy-but-undone atmosphere. This place could be both—and everything from the bartenders to scent of the lobby told you so. Needing to tidy up my hair after being caught in the rain, I was surprised when I entered the Ladies’ to be greeted not by music, but by the soothing sound of the Great Gatsby being read to me. What a touch; they thought of every detail. The rest of the evening passed over a bottle of champagne (pink, of course) and polite conversation. The drinks were reasonable and the ambiance was very unique and very Sarasota, pulling upon the cultural influences of our city and marrying contemporary class with the stylish atmosphere of a speakeasy. We loved it, and will be back! 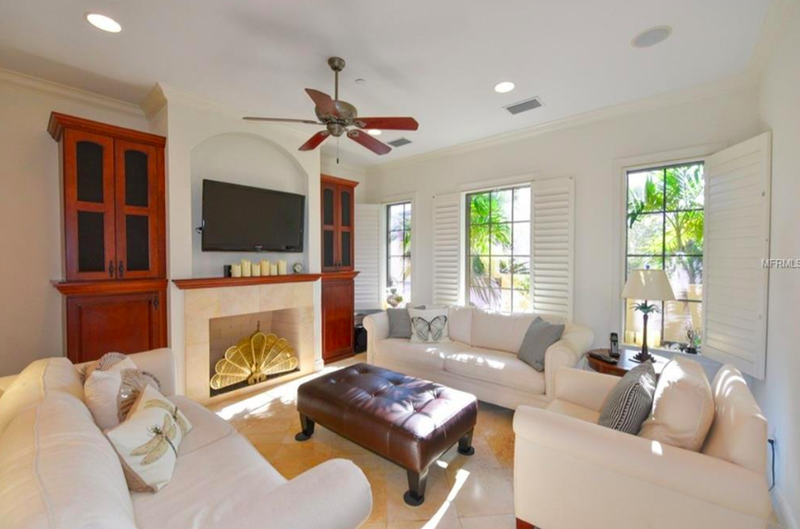 We just listed a beautiful and impeccably maintained townhome in exclusive Burns Court Villas. The small community is made up of just 23 residences surrounding a peaceful courtyard and community pool, right in the heart of Burns Court in Downtown Sarasota. 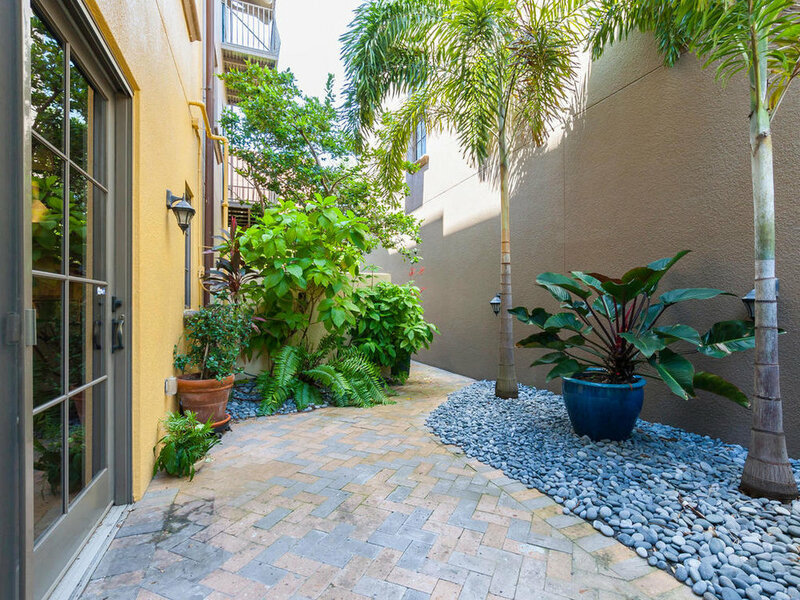 Imagine living in the center of downtown Sarasota and also enjoying the tranquility of hidden gardens that feel like a private oasis…this stunning residence at Burns Court Villas presents a unique opportunity to both! Located in historic & artsy Burns Court, this townhome is ideally situated on a prime corner with many windows for lots of light, and also features direct entry from Palm Avenue for easy coming and going, plus supreme walkability to all of downtown. Inside you will find finishes that impress, including elegant travertine, gleaming rich wood, sparkling granite, and chef-worthy Viking appliances. Your private elevator will whisk you up to three spacious bedrooms, two of which enjoy access to airy balconies. You’ll also love the spacious master closet, recently fully customized with perfect built-ins, and the pretty view from your master suite, encompassing the entire third floor. Back on the ground, meander outside to your private and secluded patio - a rarity downtown! - for an afternoon nap or to grill dinner. You will feel right at home in this gorgeous property and there is nothing to do but relax and start enjoying your downtown lifestyle. Now your only concern will be whether to exit through the front door to visit the nearby boutiques and galleries, or leave via the back to lounge in the lush courtyard. It is all up to you! The jaw-dropping verdant grounds provide a peaceful respite for Burns Court Villas residents. A community pool & spa are located in the center of the small community, completely isolated from the outside world of the city. 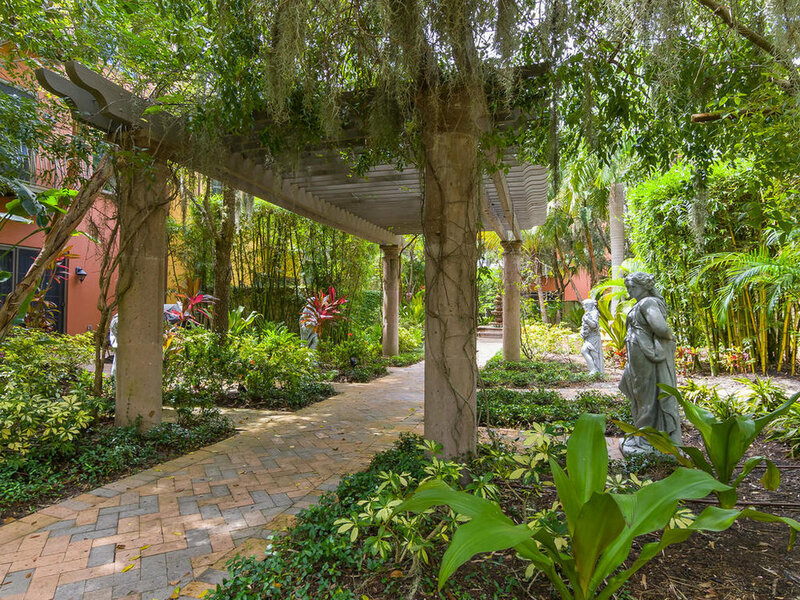 The garden courtyard is complete with beautiful statues and pergolas set in the scenic space. If you would like more information about this special and rare villa in Burns Court, please visit the property page or give me a call today! I keep seeing articles about how Sarasota is the newest hot luxury market, one of the fastest growing luxury markets in the country. When all of the news is showing dollar signs, it's important to remember that Sarasota provides fantastic housing options for many price points, not just the ultra-luxe. Take a look at 5 under 5, five great downtown condos under $500,000, that are on the market now! 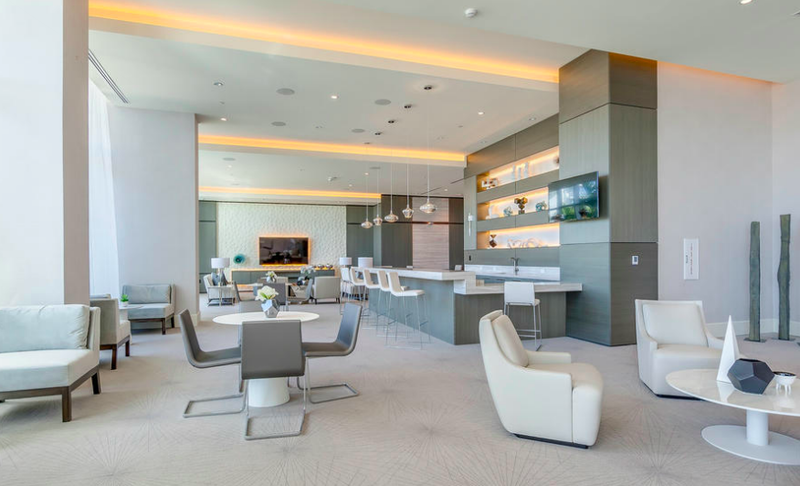 The brand new condo development of 1500 State St was just finished this year, and this luxuriously appointed pied-a-terre wows with its fine appointments and current style, right in the heart of downtown. From the 5th floor of Broadway Promenade, you can enjoy this well-appointed condo with sightlines over Sarasota sunsets and the sparkling bay waters. Enjoy some of the best views in Sarasota from every residence in Essex House. 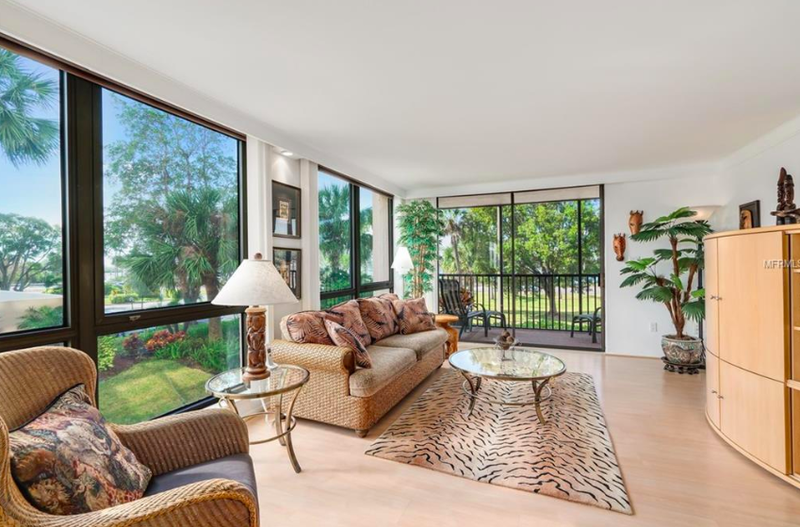 This first-story condo features a wide-open floorplan and is light and bright thanks to an abundance of windows, highlighting both water and greenery outside. I'm in love with the herringbone wood floors in this condo in downtown's middle-of-everything 100 Central. In addition to all the amenities within walking distance (hello, Starbuck's, Whole Foods! ), 100 Central is cHOCk-full of in-building amenities including theater, fitness, pool and more! This is quite a deal! Royal St. Andrew is right across from the bayfront of Sarasota in the cozy corner of south downtown. This updated pied-a-terre features an exquisitely spacious kitchen for this price point and for downtown. People love their penthouses, but let's face it, the View from the Top isn't for everyone! People who desire seeing more green than cityscape or those who want a more spacious feel over height might choose to live in a lower-level residence. 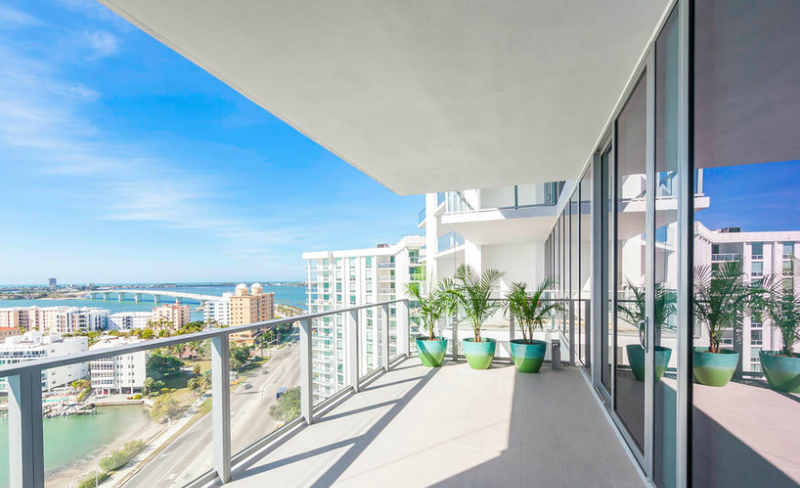 Let's check out some cool garden- and courtyard-view condos in Downtown Sarasota, where there are stunning views of more than just the water! What a unique find! At Orange Blossom Tower, which resides right next to 1350 Main in the heart of downtown and where each residence encompasses an entire floor, there is one extra-special condo on the 3rd floor, which includes a whopping 1000+ sq' of outdoor space on two separate terraces. This is a case of lower floor = more space! With nearly 4,000 sq' of interior space, plus fireplace (inside) and fire pit (outside), there is truly no end to entertaining options in a home like this. Who says the top has more fun? This 2nd-level condo in luxurious Sansara has one thing those higher floors do not: a stunning open-air terrace, which gives you the feel of pushing back the pocketing sliders right out to your backyard! Nearly 2,800 sq ft of living space open up wide to the nearly 2,500 sq ft of terrace, complete with gas grill, fire pit, and covered pergola seating area. All we can say is "Wow!" Looking for lush and fragrant grounds to greet you every day? Look no further than Burns Court Villas, a private enclave of 23 townhomes which share stunningly landscaped space and a warm, Mediterranean aesthetic. All of the villas have cozy courtyards, but we love the whimsy vibe of this 2,000 sq ft townhome with a large wrap-around terrace. How do you get the feel of a spacious single family home in the center of downtown? Library Mews, that's how. The rarely-available, 11-unit townhome complex is situated on Cocoanut north of Main St, and despite its ultra-urban location, it has the excluded aura of sweet solitude. This 1,490 sq ft townhome boasts nearly 700 sq ft of exterior living space, including a terrace and a rooftop patio. The space. Every townhome is over 2,200 sq ft. The 4th floor. Paradise is the open-air covered patio with outdoor kitchen overlooking the city. The price point. These adorable townhomes have yet to hit the $1 million-dollar price point, and in fact, none have sold for more than $800K in the past 5 years! The location. You can see the front of it from Fruitville so it's easy to tell your friends how to get there, and you are only minutes on foot from the opera, restaurants, Whole Foods, and more! There are actually 2 on the market right now! New construction is cutting into the resale market. 25% of all the homes that went to contract in the last month were new construction condos. With new buildings popping up all over downtown, it's no wonder this is sending shockwaves through the resale market. Especially hard-hit? The luxury market; with almost all the new buildings having starting price points in the high-hundred-thousands or more, buyers with that budget have a lot of brand-new options with more modern aesthetics and amenities than many of our "older" buildings. New construction price point is more than twice as high as resale. This means that if you have a million-dollar condo in an older building, you've got some stiff competition. With modern-day finishes, such as large walk-in closets, sleek kitchens, and floor-to-ceiling hurricane-grade windows in the new buildings, it can be hard for older residences to keep up! Couple that with the fact that developers have noted the desire of their residents to have an active life and are providing more in-building amenities, such as state-of-the-art fitness centers, indoor dog parks, and rooftop lounging space, and you've got a recipe for new construction luxury success. Keep your eye on the rising skyline of Sarasota: Epoch, 7-One-One Palm, The Mark, The Collection, Aqua, and the new Ritz Carlton Residences (to be built on the old Quay Sarasota site) are all set to spring up in the foreseeable future. Don't lose heart if you are trying to sell. Despite the effect that all the construction growth is having on our market, 2018 is off to a strong start. May's closed sales in units were above last year's by 6%, and the average sold price was above last year's by 4% for resale condos downtown. As always, if you are trying to sell in the summer, patience is necessary. Inventory is lower than other times of the year, but so is the number of potential buyers. If you are not in a hurry to sell, the summer might provide a good time to spruce up outdated fixtures, get grout cleaned, and replace anything broken. If time is of the essence, be prepared to price appropriately for sale. We are downtown experts. We're here to guide you through the process of buying or selling in Sarasota. Give us a call today if we can assist you in valuing your property, listing it for sale, or helping you find a new home to fit your life. Well here is a new View from the Top! We just listed a beautiful 10th-level condominium in Regency House. Located in the southern, artsy corner of downtown between Palm & Gulfstream Avenues, with sights of Burns Court, Palm Avenue, and Sarasota Bay, the view from this residence is a beautiful greenbelt that one may not have known existed within Sarasota's city limits. 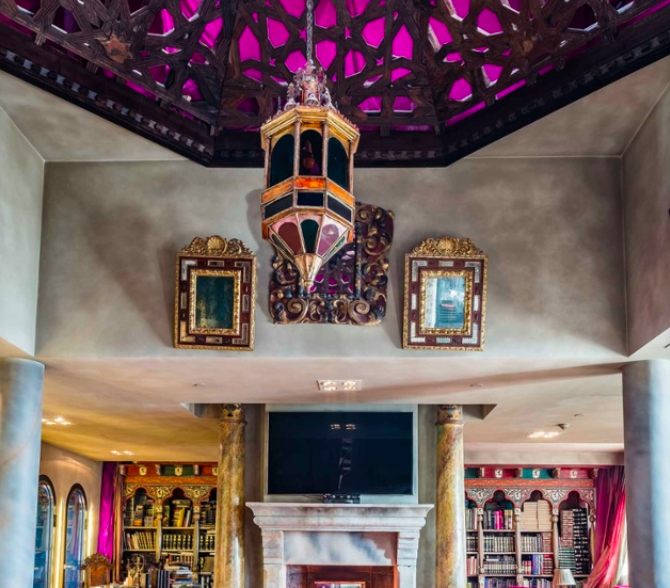 Our eclectic sellers showcase a beautiful art collection with custom lighting in their main living space. Spacious and open living/dining room features large windows and feature lighting to highlight the couple's amazing art collection. 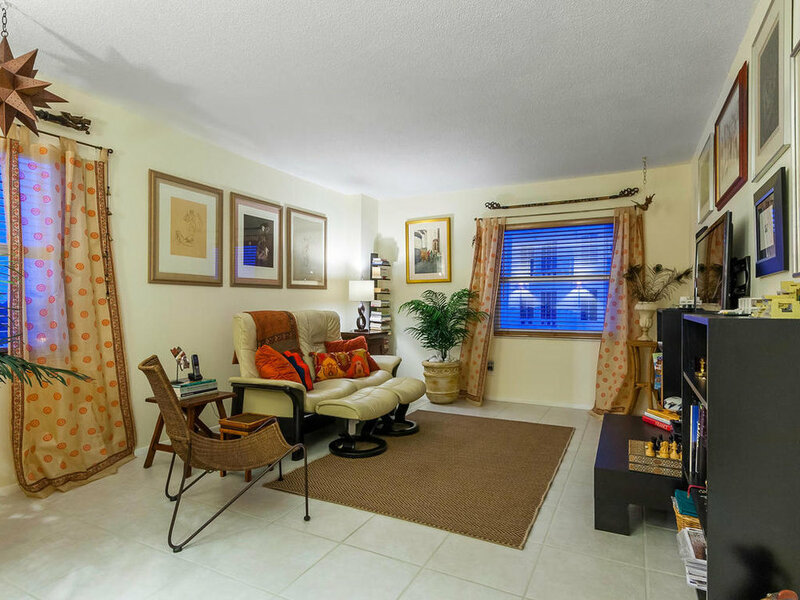 A cozy bonus space provides an extra seating area with gorgeous city views of Sarasota's Burns Court. The fun, mod-style kitchen features modern fixtures with a 60s-chic style, and loads of smart storage! Bonus: the custom mosaic above the cooktop is built in to the backsplash. One of two master suites: this one features a large walk-in closet (so big that current owners use it as an OFFICE! ), and an adorable European-inspired master bath, as well as enough room for seating! The second master suite has been turned into a den. Inside this suite, you'll find another super-spacious walk-in closet and a beautifully adorned full bath. Recline in the den and watch the boats go in and out of Marina Jack's on Sarasota Bay. 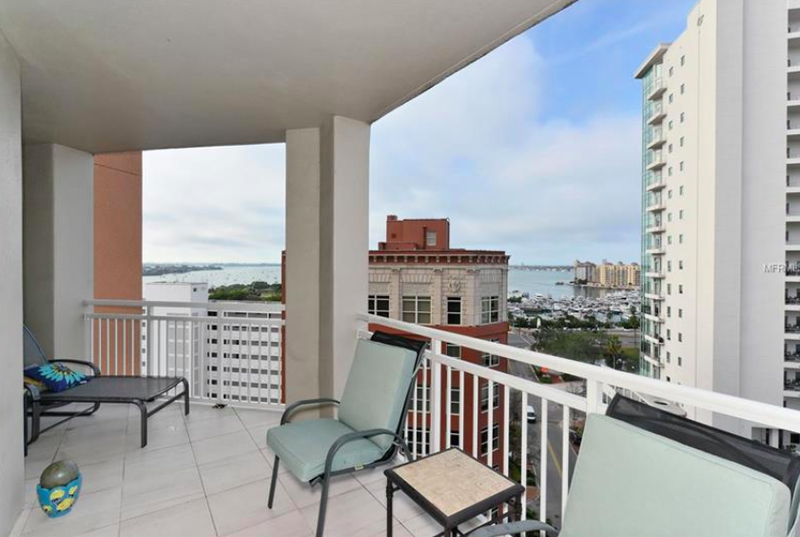 Walkable to the heart of downtown or Sarasota's bayfront in just minutes, you can truly find your perfect downtown life from this high-level condo. For more information about #1008 in Regency House, please give us a call today! The long-vacant land located at Quay Sarasota, just north of Fruitville and Tamiami Trail, has been a desirable and yet a disputed piece of land for many years. Finally, a winner has been chosen for the highly-sought-after property: it will become home to the newest Ritz Carlton Residences. With construction beginning this year, the 18-story, 73-residence building will remain with the level of luxury to which the Ritz Carlton family is accustomed, but with a clean, modern feel. The view from penthouse-level in the new Ritz Carlton Residences. 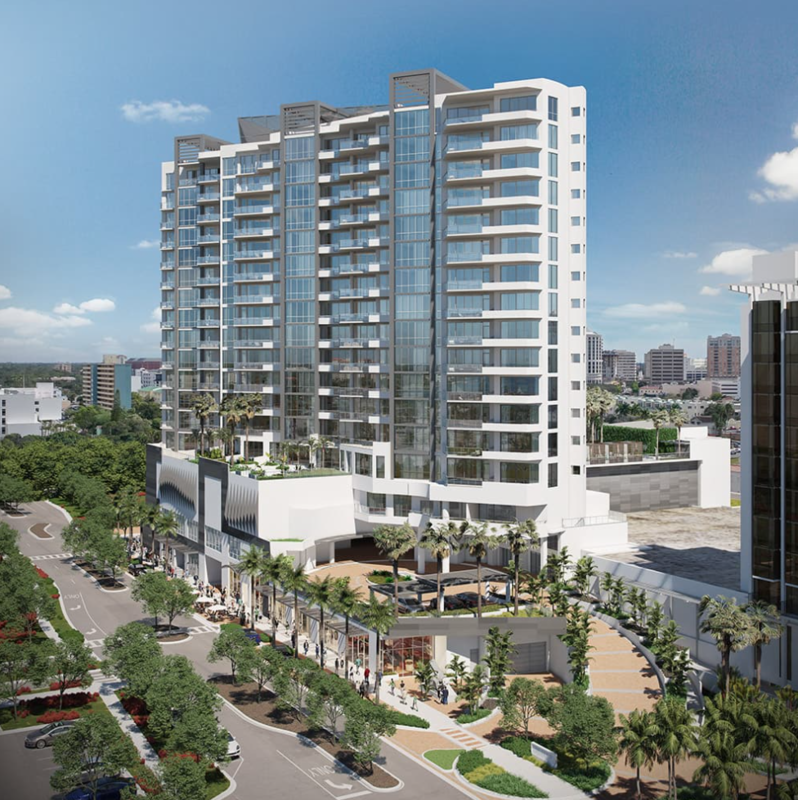 The Kolter Group, who just finished VUE on Gulfstream Avenue, is piloting this project and carrying forward the panoramic-view theme with a Ritz-Carlton flavored cherry on top. One of the most beloved features of VUE that will carry into this design as well is its floor-to-ceiling windows and sliders throughout the living space, as well as the city-to-water views in every residence. The new Residences will also feature soaring 11 and 12' ceilings and multiple terraces in each condo. We are always on top of the next big thing downtown. If you are interested in learning more about the new Ritz Carlton Residences, please give us a call today. Don't forget, we are your go-to for everything downtown, from the character-filled established buildings to the next best View from the Top! 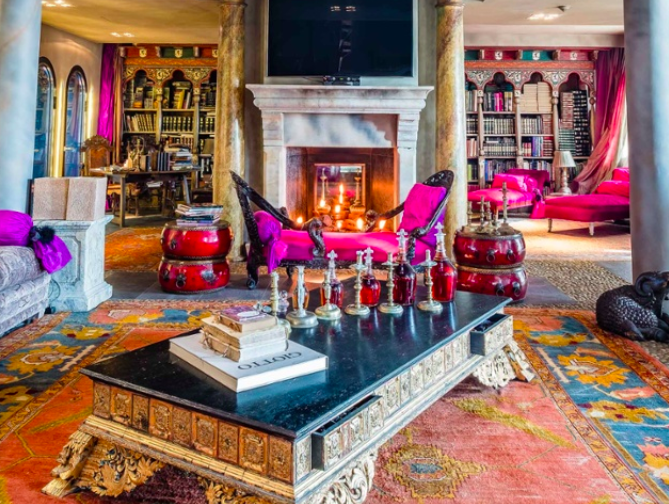 The following blog is reposted from Christie's International Real Estate's Luxury Defined blog on March 5, 2018 and has been truncated for the purpose of this post. You may read the full article by clicking here. It’s impossible not to fall in love with Brera. It has an intoxicating urban charm that wins over even those who are country-lovers by nature. Alessandro Alessandrini, owner of Broker Immobiliare Srl, the exclusive affiliate of Christie’s International Real Estate in the region, says he has clients who buy a pied-à-terre intending to use it only for a few weeks a year, but who then find it difficult to leave. Designed by world-renowned architect John Pawson, this stunning 2-bedroom, 2.5 bathroom apartment is utterly luxurious, and comes complete with a key to Manhattan's exclusive Gramercy Park. Gramercy is a quiet and serene neighborhood, exuding elegance and exclusivity, refinement and grandeur. All this despite being less than two miles from Times Square and a stone’s throw from the renowned Union Square Greenmarket. Also within easy reach: Wall Street, the cobbled streets and boutiques of NoHo and Nolita, and the amenities of the Ladies’ Mile, lower Fifth Avenue, and the Flatiron district. The Copper House is situated on the island resort of Sentosa, just a short drive away from Singapore's mainland. With expansive interiors spanning around 9,500 sq ft, the home enjoys 130 ft of water frontage, as well as dramatic panoramic sea views. Affectionately known as “South Ken” by Londoners, South Kensington is a refined neighborhood defined by graceful, Victorian townhouses overlooking beautifully kept squares, but also by its museum quarter, which includes the Natural History, Science and Victoria & Albert museums. Ample opportunity to enjoy nature and outdoor recreation is one of the key attractions of Sentosa Cove. Located on Sentosa Island, which is just off Singapore’s southern coast and connected to the city-state by road, cable car, monorail, and pedestrian boardwalk, the Cove is exempt from requirements that restrict foreign ownership of landed property. 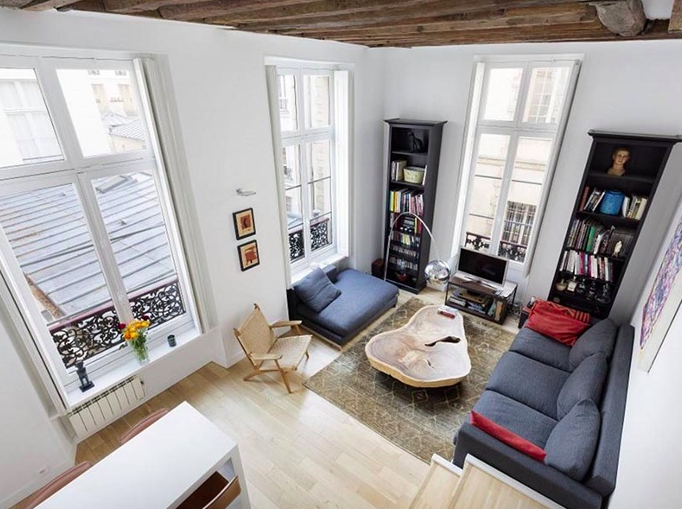 A superb triplex apartment, this 3-bedroom apartment benefits from high ceilings and a prime location in Paris's historic Marais district. What could be more romantic than a pied-à-terre in Le Marais, an authentic, lively neighborhood spanning two of the French capital’s oldest arrondissements? Reminders from the past surprise you as you amble through the tangle of crooked, medieval streets that are now lined with art galleries, restaurants, and boutiques. Just 15 minutes by car from the center of Geneva and across the river Arve is Carouge, a gorgeous municipality that brings to Switzerland a hint of the French Riviera or even Greenwich Village. At its core is le vieux Carouge, a collection of townhouses topped with tiled, gabled roofs; the occasional neo-classical house; “secret” inner courtyard gardens; and fashionable bars and cafés that spill out onto the piazzas. This is where people come for a quick drink and end up lingering for dinner. Recently sold by us: Pied-a-Terre in Renaissance! We recently listed and sold an adorable pied-a-terre in Rosemary District's Renaissance. We're here for all your Downtown Sarasota needs, whether you're looking for a permanent residence or a pied-a-terre, give us a call today. 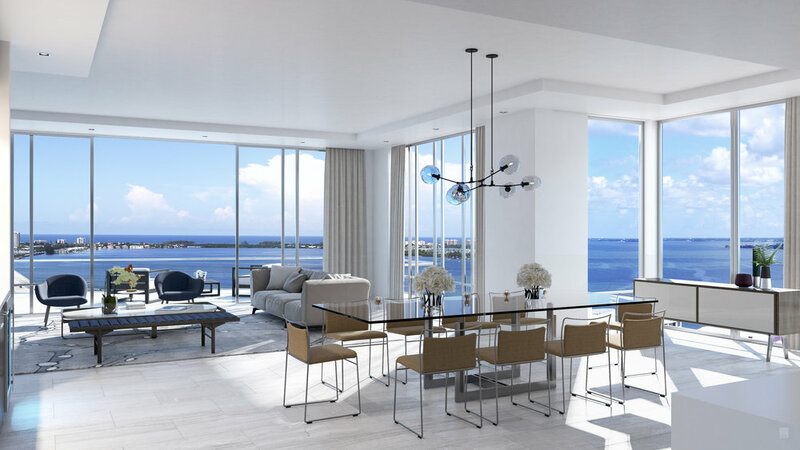 Penthouses and high-level condos with sweeping views of Sarasota Bay, the Gulf of Mexico, and/or the downtown skyline typically come with a price tag. Downtown Sarasota has options ranging from under $300K for a modest condo to multi-million dollar homes and condos of pure luxury. Let's take a look at the perfect middle; here's what's available right now on high floors downtown for under $1 million. It's almost criminal that this gorgeous condo is under $1 million! With views of Sarasota Bay out to the Gulf of Mexico, over all the keys, and the downtown shoreline, this one wins BEST VALUE in our book! One Watergate's amenities include a large lap pool and rooftop tennis, in addition to on-site management. The location is walkable to the restaurants at VUE and the Ritz, and only a short stroll to Main Street downtown. Water, water, and more water! This condo features panoramic views of Sarasota Bay & the Gulf of Mexico, as well as the pool and marina at Condo on the Bay. The bayfront building is one of only a few that offer dockage downtown. Bonus: you're right next door to the Van Wezel Performing Arts Center! 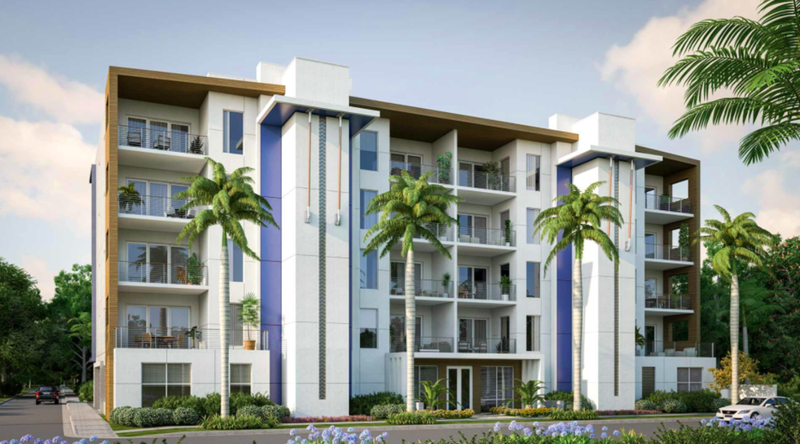 Located on the Sarasota Bayfront is the exclusive mid-rise Lawrence Point. Given its smaller size, condos in Lawrence Point are rarely available. It has a great location right at the base of the Ringling Bridge, and this building enjoys a pool right on the bay as well as fantastic water views. You don't have to be in a penthouse to enjoy the luxuries of high-level living. Check out a few of the other high-floor, non-penthouse options that will still WOW with their views! This south-facing condo in the Ritz Carlton Residences overlooks portions of downtown, Golden Gate Point, and Sarasota Bay. Living in its Ritz has its advantages: access to the Ritz Carlton Beach Club means members-only and luxurious beach days, residents can enjoy a fine dining experience at Jack Dusty, and amenities such as valet and concierge really make you feel top-shelf! 1350 Main is right in the heart of the liveliest part of downtown. Walkable to the best restaurants, around the corner from Florida Studio Theatre and the Sarasota Opera House -- you really are on top of everything. 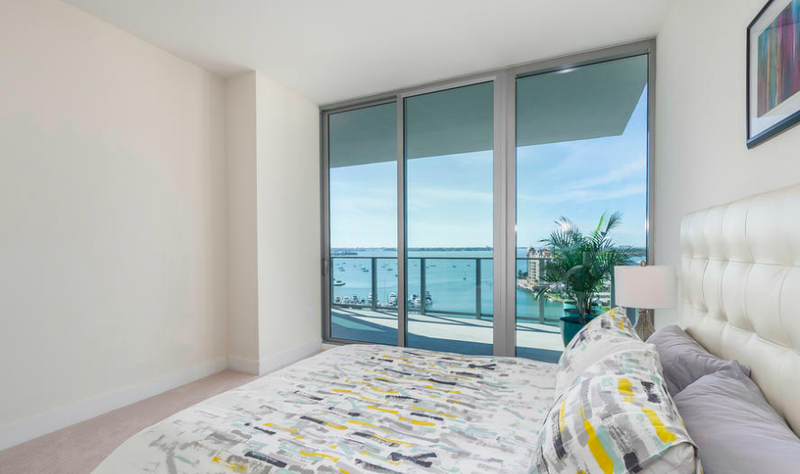 The higher up you go in 1350, the more spanning views of the sparkling nighttime skyline of downtown you get, and if you're facing the right way, like this gorgeous condo, you also get views of the marina and Sarasota Bay! Luxury and style can be obtained downtown at any price point. If you are interested in relocating to or within downtown Sarasota, please give me a call today to let me help you find your perfect View from the Top! Attached two-car garage and modern front entry. Welcome home! Sleek and chic--ride your elevator up to the rooftop for a nightcap! Imagine yourself retreating after a long day to this modern oasis... relaxing in the large soak tub with a glass of wine before closing your eyes in the master bedroom, safe and secure thanks to the Control 4 Smart House system that runs throughout the townhome. Video surveillance, security, intercom, lighting and sound control all will be right at your fingertips, no matter where you are. Or perhaps resting and relaxing is not for you--not today! Today is a cocktails-on-the-roof type of day! Invite friends and family to join you on the rooftop terrace, with nearly 500 square feet of entertaining space, both covered for your sun-sensitive friends, and open, for those looking to catch some Sarasota sunshine. Your guests will rest in the same comfort you will, in this luxurious en-suite bedroom on the ground floor. The attached bath is bright and modern, and a small living space just outside the bedroom door provides a room for your guests to unwind before bed without disturbing the peace of the main floor. There are terraces on every level, and a luxurious, high-end hotel feel in every room. If you would like more information on this property, please check out the property page here, or give me a call today! These past couple weeks we have been enjoying a very new View from the Top...that of our just-listed condo in downtown's newest high-rise, The VUE! VUE sits right next to the Ritz-Carlton and Westin Hotel on the downtown side of the Ringling Bridge. 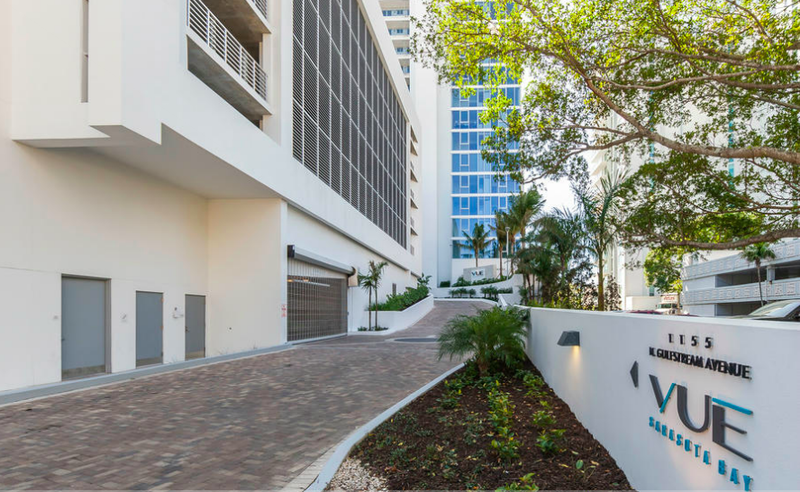 Owners have only recently begun moving into this stylish and modern building, whose construction Sarasota has been watching over the course of the past two years at the Gulfstream/Tamiami intersection. At VUE, it really is all about the view! A private elevator and foyer lead you to this grand, pristine residence, where Italian porcelain tile and high ceilings frame the picture-perfect view. An ultra-modern kitchen features white quartz countertops, Nolte cabinetry, and a vast island. The open floorplan lends itself perfectly to hosting your most fabulous parties, with plenty of room for friends to spill onto the spacious terrace. Even better, you won’t have to get out of bed to enjoy the breathtaking view and day-long natural light! The master suite features a huge walk-in closet and contemporary master bath with double sinks and large walk-in shower. Need room for a library, office, or extra seating? Relax in the bonus den, overlooking the city skyline and the Gulf. You’ll love being steps away from Jacky Dusty at the Ritz or the new Westin rooftop bar; taking a short stroll to the Farmer’s Market or the Opera, or perhaps just riding your bike to the beach! Need to drive? You’ll find your cars in 2 prime-location spaces on the plaza level. If views are what you came for, and a life of luxury is what you desire, you have found it. They were not exaggerating when they named this building - the VIEW is the star here! Spanning full views of Sarasota Bay, the barrier islands, the Gulf of Mexico, the Ringling Bridge, and the downtown skyline are offered from nearly every room in this perfectly luxurious condominium. Are you ready to find your View from the Top? Give us a call today if you would like more information! There is a LOT going on in downtown Sarasota right now and we want you to be in the know about every up-and-coming project! While we will eventually highlight other new developments, today we're going to fill you in on 7-One-One Palm and BLVD, two new condo buildings breaking ground (both literally and figuratively) in downtown Sarasota. Time Frame: Groundbreaking happened in mid-January, and anticipated move-in dates start next winter. Tell me more: In addition to your typical luxury-condo appointments like high-quality finishes, modern aethetic, fitness center, and pool/spa, 7-One-One is super pet-friendly! They are putting in their own private, protected Paw Park for their 4-legged residents. We think that's just top drawer! Each residence also gets TWO parking spaces, which is not typical with many of our downtown and waterfront condos. Time Frame: Ground-breaking hasn't happened yet, but it looks like it will be a 2019 build. Tell me more: The construction company (BCBE) working on BLVD is the same that built Aqua on Golden Gate Point, and the developer (Core Development Inc.) developed the Ritz-Carlton Hotel here in Sarasota, as well as Concession Golf Course and Residence. The high-quality team will mean a sound and beautiful building, and the amenities like the rooftop pool, concierge, on-site wine cellar, and an open-air pet lawn on the 5th floor make this building simply luxurious. We can't wait to find out more as this project gets further along! Whew! With so much expansion happening in and around downtown Sarasota, you may need a Sherpa to help you navigate the new downtown market! Let us be your guide. Give us a call today if we can help you purchase or sell in downtown Sarasota, or if you want to know more about what is on our real estate horizon. 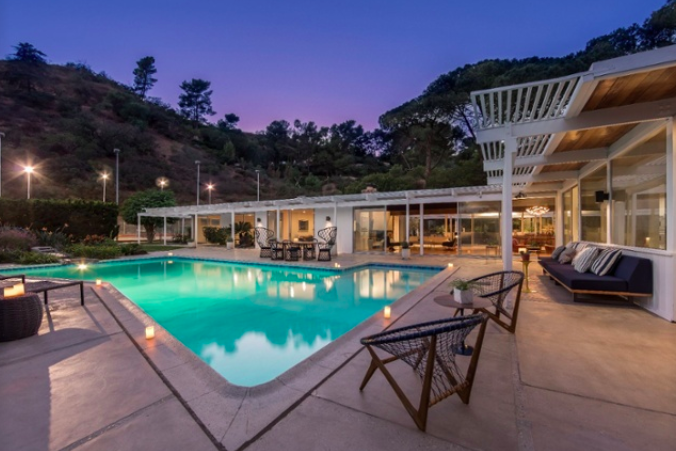 Reblogged from Michael Saunders & Company's partner firm, Christie's International Real Estate's Luxury Defined blog. To read the full article, please visit their website here. The experts at the Pantone Color Institute, the trendsetting color consultancy firm that helps manufacturers choose colors for their products, selected Ultra Violet as 2018’s Color of the Year. It’s a blue-based shade of purple that would admirably suit a king or queen, a bishop, or the artist formerly known as Prince. The color’s exclusivity derived from the difficulty and cost of extracting it from a rare species of marine snail. Then, in 1856, a young chemist named William Henry Perkin tried to synthesize antimalarial quinine from coal tar and, instead, stumbled onto the first aniline dye, a brilliant, colorfast purple that awakened the Victorians’ vibrant palette. Thus, Ultra Violet inspires 2018 and this Luxury Definedcollection of elegant homes in which deep shades of purple reign. Villa Lavanda lives up to its name. This idyllic cliffside aerie has an array of purple-accented features: a lavender field, jewel-toned fabrics and finishes, and a great room with an exquistire Mudejar-style ceiling under a purple alcove. 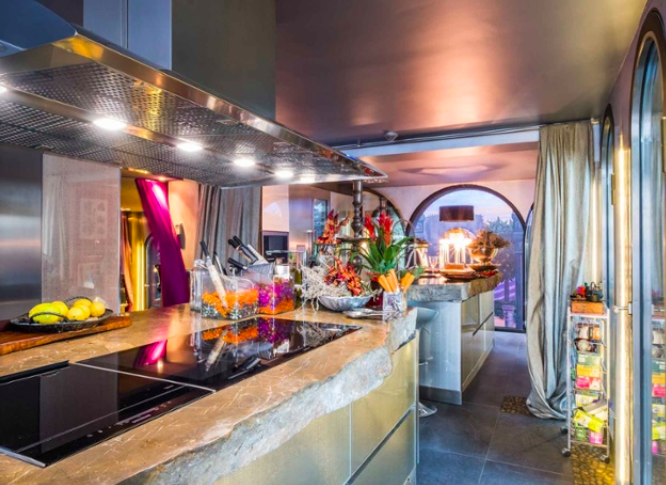 This five-story residence on the southern coast of Portugal is vividly decorated throughout. The lower-level office has a bright purple palette, which creates contrast with the alluring views of sea and sky. This Mexican hacienda is a haven of tranquility, just like its beautiful setting in the hills above the ancient town of Tepoztlan. The peaceful ambience extends to the two-story great room with its rich wood and tile finishes, stone columns, viga-beamed ceilings, and violet-hued walls. 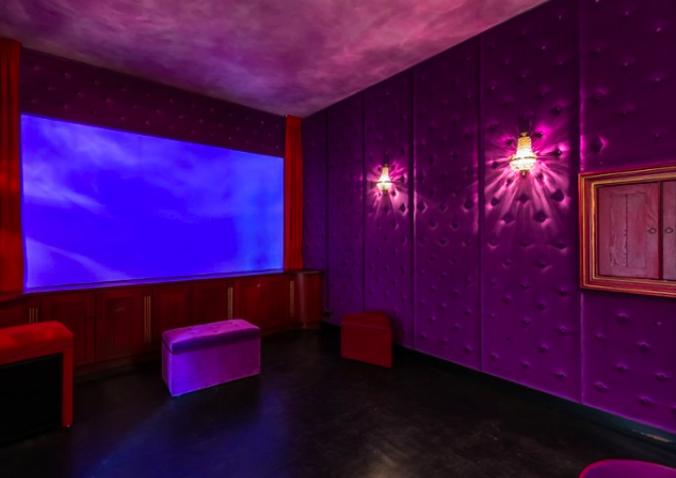 Unique inside and out, this ranch-style equestrian estate in Holland's Utrechtse Heuvelrug National Park has an array of exquisite appointments, including a cinema adorned with quilted-velvet walls and a ceiling in vibrant shades of purple. 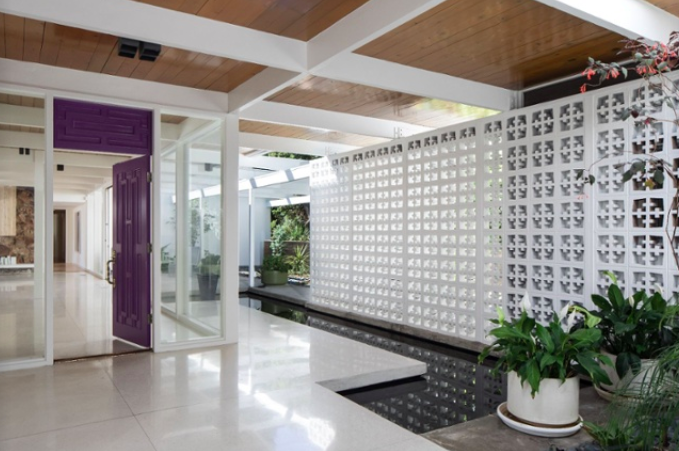 A purple door opens to reveal a white hallway lined with posts and beams, a signature design element of the home's celebrated architect, Eugene Kinn Choy. We adore this year's vibrant and exciting Color of the Year and can't wait to see it brought to high-level and seaside living in Sarasota! Please give us a call today if we can assist you in finding a great residence in our own vibrant community.